Sir: As someone with 80 years of life experience, and having advised many friends to “watch out” for scams, I thought I was beyond being stung. So I am embarrassed to admit the following, but do so hoping it will prevent others from being taken. Last October I received a phone call from a woman who claiming to be calling from the RBC (Royal Bank of Canada) over some “unusual activity” in our bank account. I told her I didn’t believe her. She gave me the name and number of her supervisor. The gentleman who answered identified himself by name, and I accepted it. After some discussion, he calmly asked if I would assist bank security in a “sting operation” to try and catch the perpetrators. Wanting to do good, I agreed to help. The plan: Go to a Western Union outlet on London Road and transfer money using an MTCN (Money Transfer Control Number) to a fictitious relative working in New Delhi, India. Because of specific info on the tracking number the money wouldn’t be sent and we could catch the perpetrators red-handed. The next day I received a call: “We have apprehended one of the perpetrators and have your MTCN.” I was asked to help again to catch the second person. The next morning, a little apprehensive, I went to the bank and waited. No show. No money. No supervisor. Why? Why would I do this? I still can’t believe I allowed it to happen. Eventually, some of my money was recovered, but only after a lengthy follow-up involving several agencies. So please, Journal readers, stay alert. Be aware that scammers are using elaborate schemes to prey on seniors. Sir: I am a retired research technologist and first learned about the “halogen” family of chemical elements, which includes fluorine, at school almost 70 years ago. All are invaluable to public health in one way or another. I will keep things simple and just write about fluoride. I lived in England before coming to Canada in the early 1960s. Sometime in the ‘50s, dentists discovered that in some areas children had many cavities, while in other areas children had almost perfect teeth. When the drinking water was analyzed, the results clearly showed areas where children displayed bad teeth had no fluoride, while those with good teeth had a natural inclusion of fluoride in the water. Our dentist in England, upon hearing we were moving to Canada, told us the Great Lakes basin is almost devoid of fluoride in the water. He gave us fluoride in solution, and upon our arrival in Sarnia, we took six drops daily and had the pharmacy supply us with refills. We treated our children with smaller doses, until that wonderful day when Sarnia added fluoride to the water. Our children, now grown, don’t know what a cavity is. They’ve had fluoride from birth, and that may be the reason. Unfortunately, should fluoride be eliminated, children would be denied the benefit of good, healthy teeth. The six-drop method, if used, could be misapplied with serious consequences. The best method is to add fluoride to the drinking water, so that everyone of all ages gets the full benefit of this health giving halogen. Sir: It’s a New Year, and time to see if this young, fast and determined Sarnia Sting team can do some damage. With about 30 games to go, centre Jamieson Rees is looking good, scoring about a point a game, and rookie sensation Jacob Perreault keeps finding the net from all angles of the ice. Sarnia’s own Franco Sproviero along with Brayden Guy and Curtis Eger continue to be the grinders in the hive, and I like the job the owners, managers and coaching staff are doing. It’s an entertaining product on the ice. The Ontario Hockey League has many strong teams this year that have loaded up with trades. This Sting team reminds me of a team that has nothing to lose. Rebuild, reconstruct, renew and redo. Go Sting go! You can do it. Sir: It’s hard to miss Alberta’s “Keep Canada Working” ads. The run on TV, billboards and social media, and according to surveys they’re working. But are the claims true? Two seem very suspect to me: that building the Trans-Mountain expansion will not result in more production, and that Canada’s economy will get an $80 million a day boost from building the pipeline. Yet Kinder Morgan filings to the National Energy Board (NEB) clearly indicated the pipeline was needed to accommodate new capacity, and several proposed new oil-sands applications have indicated they intend to use the new line to ship their product. The alleged benefit of the Trans-Mountain expansion is that the additional bitumen transported to Burnaby will be sold at a higher (international) price, which will set the benchmark for all Canadian product and result in this $80 million per day benefit. If this is true, why aren’t the Asians bidding on the 300,000 bbl/day we already send to Burnaby? Even if they were prepared to pay more for bitumen shipped to Asia, this price increase would only apply to the material being shipped, not everything else. In their filings to the NEB, Kinder Morgan indicated they expect the Asian market to offer about US$2 per barrel over the North American (Western Canadian Select) price. So the oil companies would benefit to the tune of 890,000 barrels per day (total capacity of line) x US$2/bbl, or $1.78 million a day. However, Alberta and Canada would only benefit from the increased royalties and taxes. The rest would go to the shareholders, leaving us well short of $80 million a day. So what is going on here? Don’t we have advertising standards? Aren’t they supposed to be accurate? Well, guess who wrote the law? The Advertising Standards Council has no jurisdiction over the offerings of governments and none of the advertising rules or regulations apply to them. So I guess we can’t believe anything they tell us. 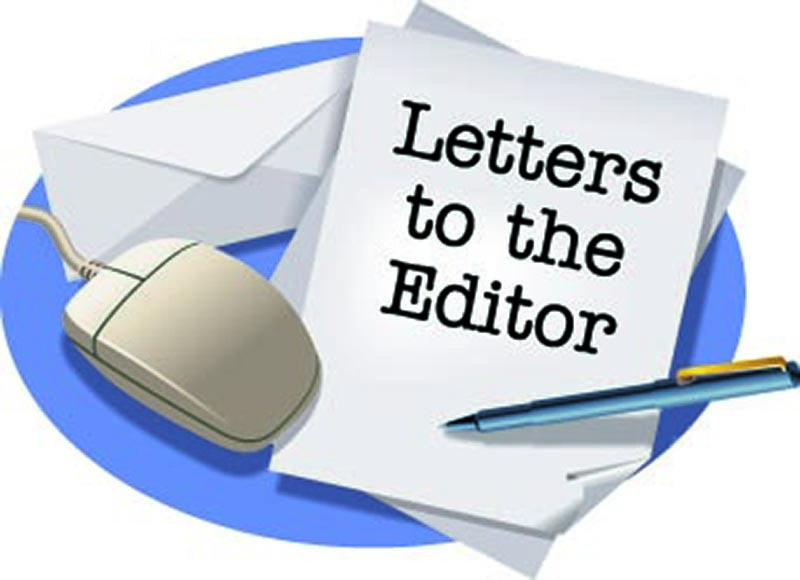 Sir: Last September you published a letter I sent about the need for signs instructing people not to feed bread to the ducks and geese on Sarnia’s waterfront. Thank you for printing it. It worked. A new sign has appeared down by the pay machine at the boat launch. I thank those who put it there. Unfortunately, though, it’s in such an obscure place only somebody who walks by regularly and is looking for it would notice it. A better place would be the parking lot near the chip truck at Centennial Park, which is where most of the duck feeding occurs. Hopefully, the city will place more signs like this at several other locations along the river. Let’s keep our little friends healthy.